China Shop Bull return to Zig Zag Weert with their eclectic blend of punk, hiphop, techno, dub and everything else. Fronted by a rapper with a Yorkshire accent and and an aggressive singer who is simultaneously technically brilliant on guitar, backed up by a powerful brass section and a mathematically precise rhythm section. 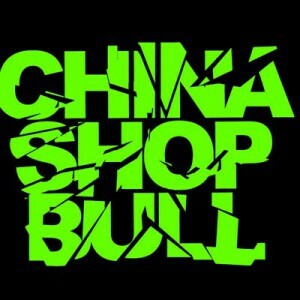 The old adage of ‘has to be seen/heard to be believed’ has never rung truer than with China Shop Bull. Yes they combine elements of hip hop, punk, ska, drum and bass and reggae. But the point is that they do so with excellent musicianship and and incredible energy! Contagious songs that are played too hard. You want to scream until your vocal cords are hoarse. That is PUYN. A punk / rap / metal formation consisting of four rebellious young men from all over Central Limburg. Raptands that roll your tongue on energetic punk and metal. Usually in Dutch, sometimes in English. Puyn makes music that is exciting, refreshing and above all different.